Global Economic Challenges with Gonzalo Garland - Executive Ed. On July 10, participants of the Executive Summer School were given a comprehensive overview of the history of global economic growth in the “Global Economic Challenges” seminar at IE’s Madrid campus. Although economists are relied on to forecast market trends and challenges, they often spend more time looking to the past than the future. Economics is a complex and sporadic social science that deals with human behavior – and therefore extremely difficult to predict. This was the main focus of the recent seminar, led by Professor Gonzalo Garland, Vice President for Development at IE Business School, who brings over 30 year’s experience in the field of economics. Through this lens, participants were able to assess and understand the value of their work within the wider context of the global economy. “Economists are really historians,” Gonzalo explained, “we have to learn from the past in order to face the future.” Making use of maps, graphs and video clips, Gonzalo created a visual learning experience in which participants honed their knowledge of global economic development that gained pace just 200 years ago. The group discussion was further enriched by the diversity of the classroom, with participants from Italy to Nigeria drawing on personal and professional experience to share their specialist insight into global economic development. Building upon this, participants were given the chance to compare historical economic trends and challenges to those emerging in the current market. Through stimulating discussion and debate, this exercise encouraged participants to examine and analyze their companies’ work within the bigger picture of the global economy. The seminar’s holistic approach provided participants with a comprehensive understanding of the recurring trends and processes of the economy. Armed with this knowledge, the executives were encouraged to honor the values that they live and work by, becoming more valuable leaders within their organization. 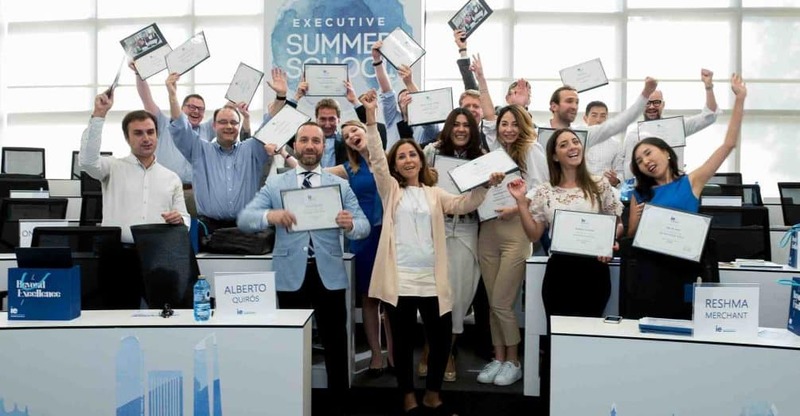 The Executive Summer School is a transformational learning experience for successful managers that wish to lead change their organizations by gaining fresh insight into market trends and practices. The program equips participants with the necessary skills and knowledge to drive change when faced with the global economic challenges of the modern market. If you’re an executive that wants to gain fresh insight into the global economy and explore how you can increase your value within your organization, visit our website for more details on the Executive Summer School.